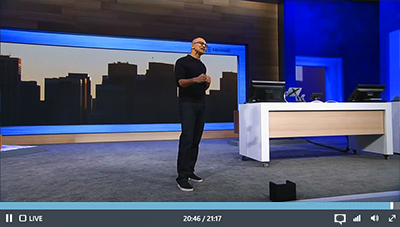 In late April, Microsoft Production Studios leveraged Azure Media Services to webcast the Microsoft Build Keynotes. The following week, we used the same configuration for the delivery of the Microsoft Ignite keynotes. Combined, the events served live, HD quality streams to many hundreds of thousands of unique viewers. The webcast performed very well and was accessible on a broad range of platforms, devices and browsers. Recently, I shared a brief peek into how the team at Microsoft Production Studios delivered the events and some insights gained along the way. Click here to read the article on the Production Studios Blog.